Team Philadelphia’s Bantam B National Orange team won the Liberty Cup Winter Classic this past weekend which was held at the Oaks Center Ice in Oaks, PA. The team went undefeated having won all four of its games. 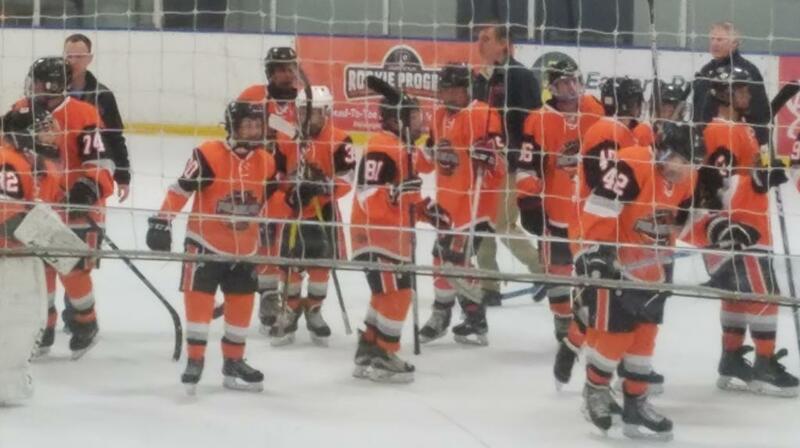 They blew out the Exton Kings 7 – 0 in the opener then proceeded to beat the Delaware Jr. Blue Hens 4 – 3 and shutout the Kings again in tighter contest 2 – 0. In a rematch, Bantam B Orange beat the Jr. Blue Hens 4 – 2 in the finals.